A recent discovery of a Viking Age settlement at Point Rosee headland in southwestern Newfoundland, Canada may rewrite the history of the Vikings in North America, especially in the context of the pre-Columbus European exploration of the New World. The possible Viking Age settlement was spotted using satellite imagery on the area of Point Rosee. In 2015, a team of archaeologists led by Sarah Parcak initially analysed infrared satellite images of the area surrounding Point Rosee as well as high-resolution aerial photographs. Afterwards, the team of archaeologists undergone a two week research on the terrain of Point Rosee in mid 2015. In the wake of this archaeological project, there have been most notably discovered turf walls and residues of ash and iron, signs of probable Norse settlement. The archaeologists believe that the site could have been an iron-working camp, but there’s also the possibility of a long-term Norse settlement. Carbon dating analysis suggest the possible Norse settlement at Point Rosee originated sometime between 800 to 1300 AD. If confirmed, Point Rosee will be the second known Viking Age settlement in North America, after L’Anse aux Meadows, also situated in Newfoundland, Canada. The voyages of the Norsemen in North America (including Greenland) are documented in the Icelandic sagas. Given a certain number of reasons which caused the Viking Age, the Norsemen reached Greenland beforehand making land in modern day Canada at the round of the 11th century. 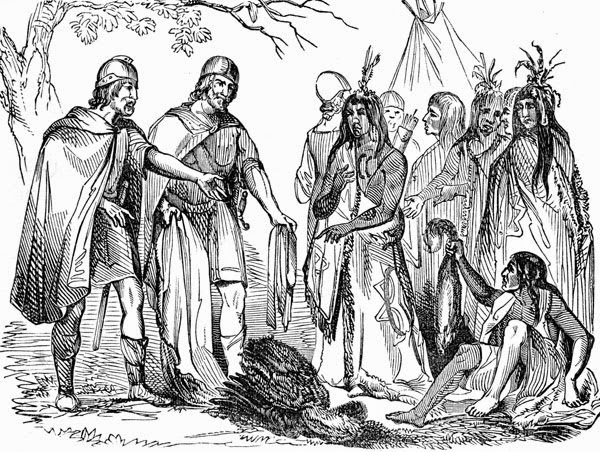 America even before Leif Eriksson. Bjarni — was born in Iceland to Herjólfr, the son of Bárdi Herjólfsson, and Thorgerdr — became an important merchant in early medieval Norway, but he didn’t forget to visit his parents in Iceland annually during the summer. According to the ‘Greenlanders’ saga‘, one year when he visited his parents, he found out the fact that his father joined Erik the Red in his quest for Greenland. Then, he decided to go after him. However, he had eventually lost himself on a foggy North Atlantic voyage and reached the shores of modern day Canada. He had only spotted some coastal territories but didn’t set foot on North American soil because he urged his crew to sail back to Greenland in order to see his father. Upon arriving in Viking Age Greenland, he also met with Leif Eriksson, telling him what he saw westward of Greenland. 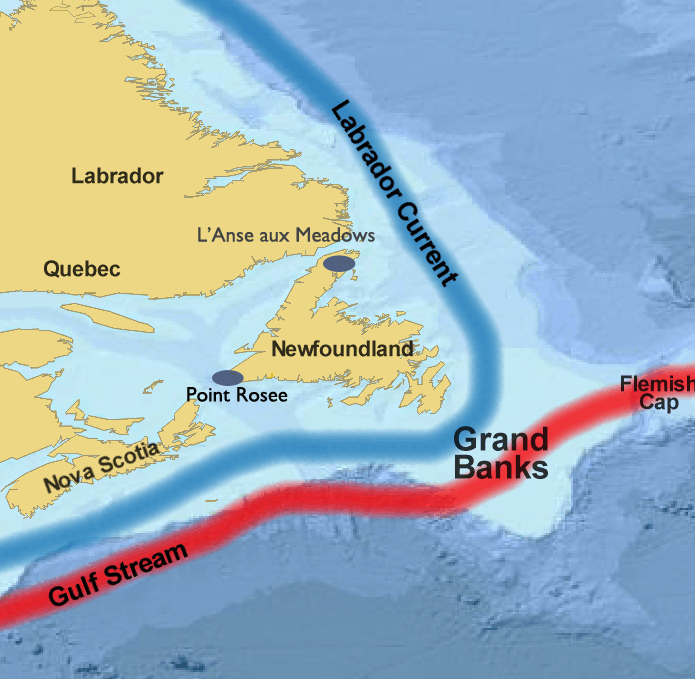 According to Professor T. J. Oleson of the University of Manitoba, these territories might have well been Newfoundland, Labrador, and Baffin Island. 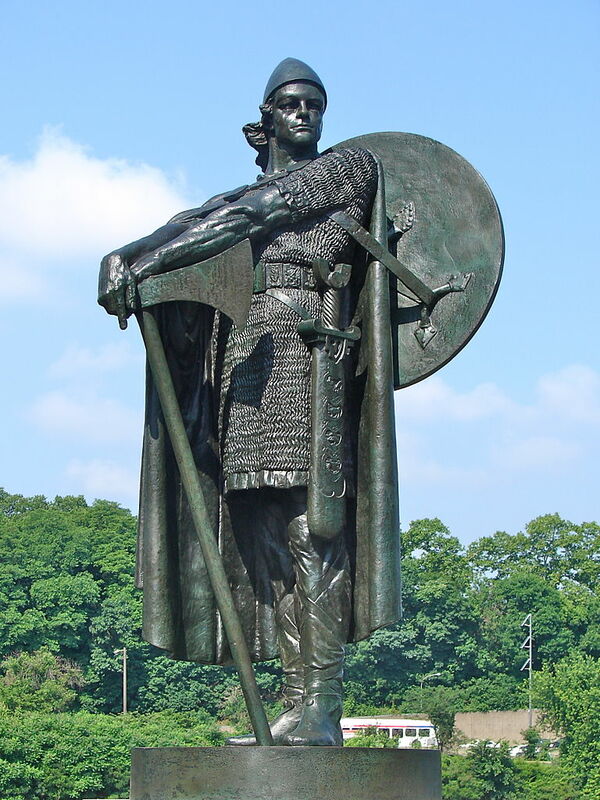 Subsequently, Leif Eriksson embarked with his crew of Greenlandic Vikings (among which was also Thorfinn ‘Karlsefni’ Þórðarson) to Newfoundland, naming it Vinland after landing. The Norse settlement of Newfoundland is documented in both the Greenlanders’ saga and in Erik the Red’s saga. To date, only the UNESCO World Heritage site of L’Anse aux Meadows bears unmistakable archaeological evidences of a past Norse settlement in North America.